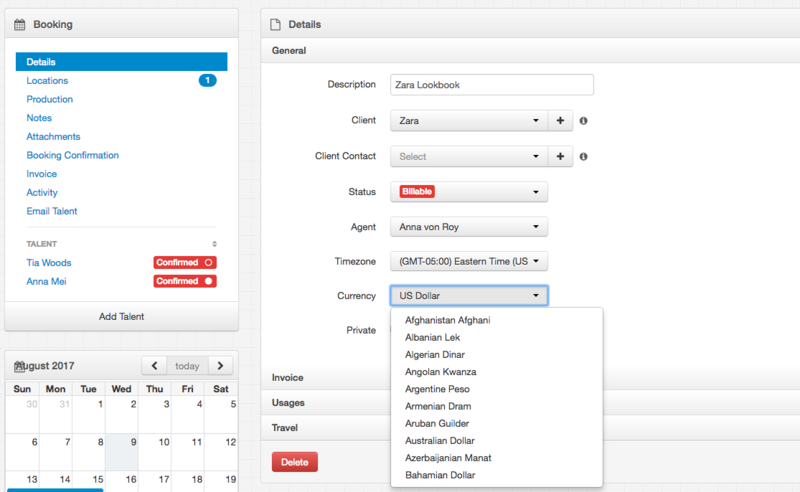 Start by clicking on the Talent name in your Booking that you would like to add the fees to. 4. You are able to write as much or as little as you need into the Description box. This information appears on the Invoice as the line item. 5. If the job is charged at an hourly or daily rate rather than a set fee, you are able to insert the rate here and the fee will automatically be calculated and populate the Total Amount box. 6. You can also manually type in the fee amount. 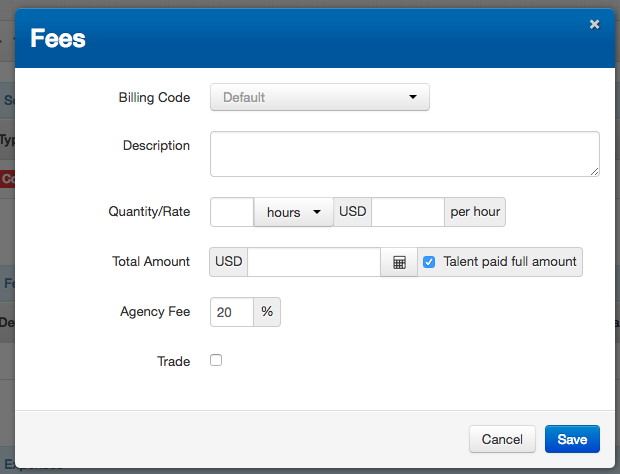 Untick the "Talent paid full amount" box if the amount paid to the model is different to that charged to the client. 7. You are able to manually adjust the Agency Fee charged to the client here (this will also affect if you have you used the Calculate Inclusive button) .